The Rant Break ‘Em Chain Tool features an extra-long handle to provide the leverage needed to remove.. The Rant Fix ‘Em spoke wrench is a precision made spoke tool that fits most modern BMX wheels. 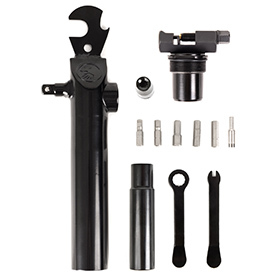 Ergon..
Everyone gets flats, so make it easy on yourself with the Rant Fix ‘Em Tire Levers. Made from high q..
TSC Cone Wrench for bmx hubs maintenace.Description:- strong steel body, gummed handle- slim pr.. Multiple tools in a compact steel case Investment cast, forged and CNC steel construction Includ..